In today’s fast-paced world, hectic with mobile gadgetry, technological innovation, and social media, it can be hard to focus. We’re expected to multi-task to such a degree that it’s hard to sit down and concentrate on one thing anymore. Who hasn’t sat down to their computer to work only to find they’ve spent the last 30 minutes on Facebook, Twitter, Tumblr, Vine or Instagram instead? You really should get on with the task at hand but there’s still email to check, friends wanting to chat on WhatsApp, and that’s before you make time for your family. Before I discovered nootropics for focus, I wasted so much time on pointless little distractions, suffering from stress as a result. To coin an American phrase, it seemed that everyone wanted a piece of me and I didn’t know how to tune it out. There was an incessant ‘noise’ in the background that wouldn’t let me fully concentrate on anything. Neuroscience tells us that concentrating on one task at a time is the best way to boost productivity and cognitive potential, but it’s no surprise that some of us need some help getting rid of the clutter in our minds, and ignoring the clutter in our lives. That’s where nootropics come in. Nootropics have several different practical applications, such as helping to boost memory and learning, but they arguably excel when it comes to boosting focus and concentration. The right nootropic can increase mental stamina, energy and motivation, encouraging a laser-like grasp of, and dedication to, the task at hand. 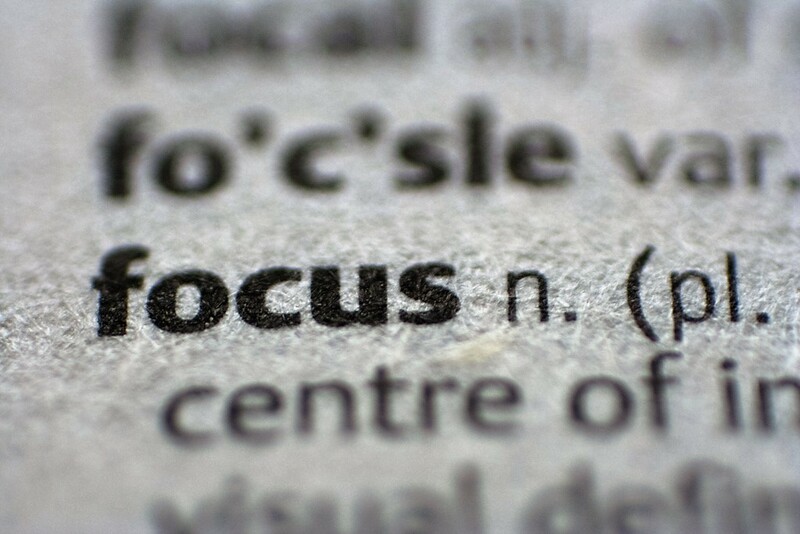 Concentration is the ability to focus on one particular task or stimuli by ignoring all competing stimuli, a function determined by your pre-frontal cortex. 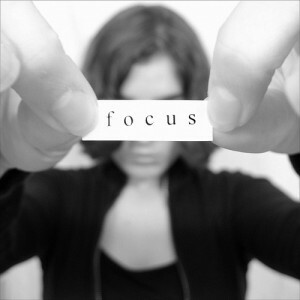 In neuroscience, concentration comes down to the interaction and action of three key neurotransmitters in the brain. Dopamine: The pleasure chemical, dopamine is the brain’s reward system and encourages motivation by rewards, reinforcement and pleasure. Low dopamine levels can impact drive and make it more difficult to stay on task. Nootropics that boost dopamine levels, therefore, can increase your attention span and boost concentration. Norepinephrine: This neurotransmitter helps to regulate sleep and wake cycles, ensuring attention and alertness. Epinephrine: This is the chemical involved in the fight or flight reflex, and triggers mental clarity. Norepinephrine and Epinephrine are released in times of stress, just in time to make you more alert. They can also help you to pay attention, hence increasing them is often the primary action of drugs intended to tackle ADHD. Indeed, while no-one knows what causes ADHD, some scientists suggest it occurs when the control of these three neurotransmitters in the brain malfunctions. So, given that we know the above, which nootropics or drugs can best boost focus and concentration? For the sake of easy definitions, let’s split nootropics and nootropic-like substances into two main categories, those that act as stimulants for use in the short term (smart drugs primarly) and others that act as cognitive enhancers that can more safely be taken over the longer term. Smart drugs, such as Modafinil, Adrafinil, and Adderall, have been used off-label by many for their wakefulness and stimulating properties. Modafinil was originally created to tackle narcolepsy and works by influencing the production of dopamine. Adrafinil, first discovered before Modafinil but abandoned in favour of the latter which has fewer side effects, works in a very similar way. Adderall, used to treat ADHD, increases norepinephrine and dopamine in the brain. Increasing these neurotransmitters can boost focus and concentration by all the mechanisms listed above in my ‘physics’ section. If you do want to use smart drugs, and I personally wouldn’t advise it, make sure that you use them only for short term specific tasks, such as a major project at work or a big exam. None of the drugs mentioned above, plus some of the more powerful racetams such as Phenylpiracetam, should be used in the long term. They carry with them the danger of numerous side effects. See my report on the possible side effects of Nootropics, specifically Modafinil. Phenylpiracetam, for instance, can make receptors in your brain less sensitive if taken too regularly. That’s something you want to avoid. I would recommend their use no more than once or twice a week. Note that most smart drugs are prescription-only. See are nootropics legal? Tyrosine is a non-essential amino acid that acts as a building block to boost dopamine and norepinephrine in the brain. Dopamine levels in particular play a crucial role in the executive function of the brain and L-Tyrosine helps to boost working memory, a key component of focus and concentration. L-Tyrosine has been found to be particularly good in acute stressful situations, the cold and physical stress being the most tested. Its benefit when taken under conditions of chronic stress, however, is unclear, though it does appear to provide a sense of well-being that reduces the perception of stress. It may also reduce stress-induced memory deficits. Using the Acetyl-L-Tyrosine version of this compound, better for brain health, should mean that you can pay attention for longer. L-Theanine helps to aid focus and concentration by raising alpha brain waves to generate a feeling of relaxed alertness, or relaxation without sedation. It is particularly effective when taken with caffeine, as it reduces the ‘edge’ of the latter and helps to encourage attention without the traditional drawbacks of caffeine. It may also encourage positive sleep patterns for people suffering from ADHD. Citicoline is a popular nootropic supplement that everyone would do well to include in their daily routine. Well tolerated, it helps to influence the level of acetylcholine within our brains, a neurotransmitter which regulates focus and mental clarity. Taking an additional source of choline helps to boost mental energy, metabolism and blood flow, which in turn leads to an increase in motivation, concentration and focus. Citicoline can also boost memory formation, recall and learning capacity. Its increased energy levels help to increase attention span and ability to concentrate, rejecting other distractions. Users also report an increase in ambition as well. There are numerous different racetams that work in very similar, but subtly different ways. Of all of the nootropic racetams, pramiracetam is likely one of the strongest and is considered to be the best for encouraging a laser-sharp focus with a long term memory boost. Taking pramiracetam will help to prevent distractions getting in the way of your immediate task, thus increasing purpose-driven activity. Other racetams that influence focus include Aniracetam or Noopept (the latter is not technically a racetam but is often included with them). Both stimulate the glutamate receptors. Glutamate is another neurotransmitter with a heavy influence on focus and concentration; it controls your working memory. Aniracetam and Noopept also increase both dopamine and serotonin levels, which can again enhance your attention span. All should ideally be taken with a source of choline, such as Citicoline or Alpha GPC. In conclusion, no-one would argue that the strongest supplements around when it comes to boosting focus and attention span are the stimulant smart drugs. These are very powerful, have a higher potency and pack a powerful punch. However, they come with significant drawbacks, namely the potential for strong side-effects, and should only be used occasionally, and certainly not on an on-going basis. If you want a safer nootropic that you can use more regularly, the racetams mentioned above should do the trick, but do make sure that you use them with a choline supplement, or choose a well-rounded nootropic stack product that contains it. For those people who would prefer not to put any synthesised products into their body, the natural alternatives above can also be effective and have the benefit of very few side-effects.